BABY DRIVER: The Movie You Didn’t Know You Would Love So Much. 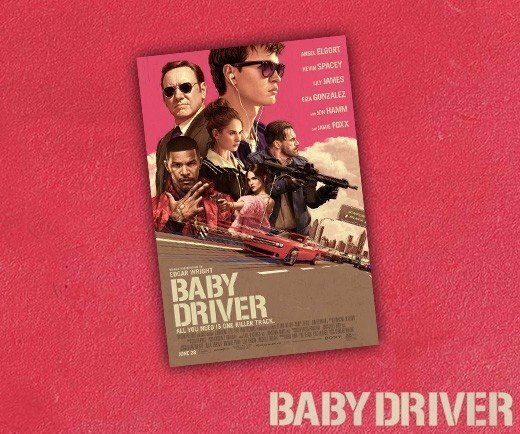 A young & talented getaway driver, Baby (Ansel Elgort), is forced to drive for a crime boss (Kevin Spacey) but when a heist goes bad and the woman he loves (Lily James) is in danger, Baby must face the music and do what he needs to do to save both himself and his love. Now I’ll be the first to admit that I didn’t think much of this one when I first heard about it. I actually thought it was going to be some sort of Fast & Furious wanna be movie. I even thought about skipping the screening. But I’m glad I didn’t. This film grabs you and holds on the entire way thru. There is some really off the wall and crazy car chases. Blended with a very charming love story. And unlike a lot of films that have a basic soundtrack, this one actually makes this story. Like they said “All You Need Is One Killer Soundtrack”. And that music is synced to everything you’re watching. Honestly, I really liked this one. It’s only the 2nd film this year that I called “AMAZING”. I think this is going to be the surprise hit of the Summer, because it’s really that good. That’s what makes Baby Driver A Must See Movie.